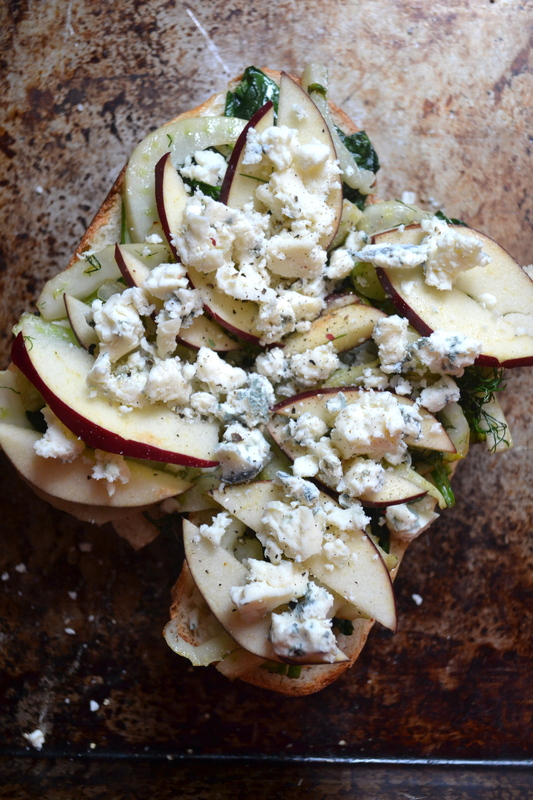 Get your french on with a lovely open-faced sandwich under the broiler. Any toppings are good such as roasted aubergine (eggplant), red pepper and gruyere, or ham and emmenthal cheese if you’re not veggie. 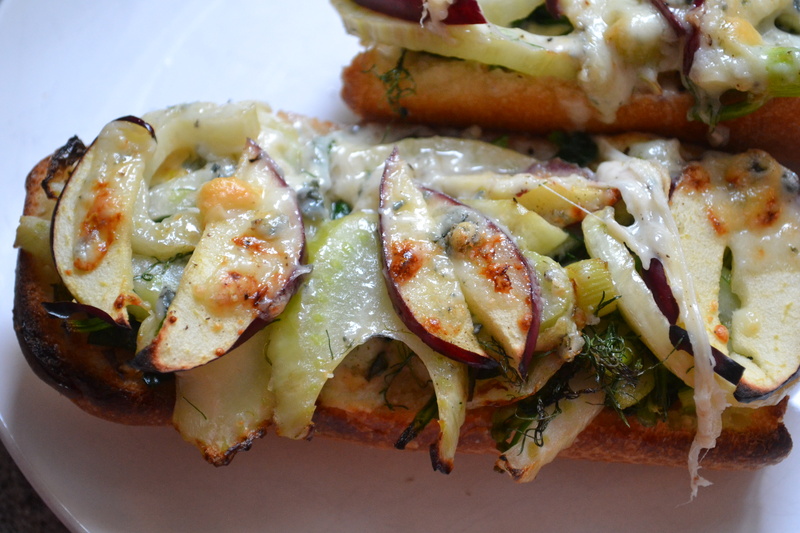 You need some chewy baguette and a bit of mayo but the rest is up to you. Or try this concoction if it sounds appealing. 1) Sautee the spinach until just wilted in butter or olive oil and set aside. 2) Sautee the fennel in butter until golden brown but still crunchy. Set aside. 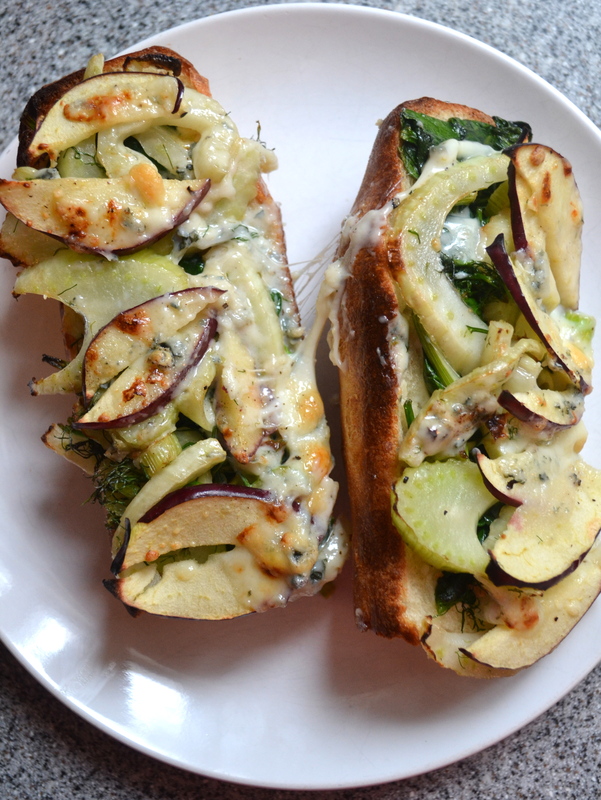 3) Spread mayo on each half of the baguette and then layer on the spinach, fennel, apple and gorgonzola. 4) Sprinkle with fennel fronds, fresh black pepper and a drizzle of extra virgin olive oil. 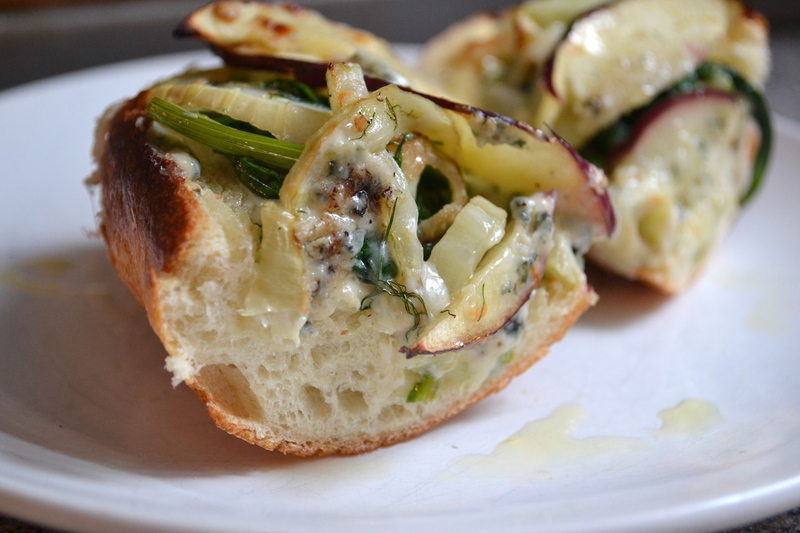 5) Cook under the broiler until gorgonzola is melted and bubbly. I like to slice the tartine into bite size pieces and share.